Ron Lieber, NYTimes money columnist and author of The Opposite of Spoiled, discusses how to raise money smart kids who are generous. Whether we plan to or not our kids will pick up their financial habits based on what we say and do around them. We can look back at our parents and get an idea of how they shaped us. So how can we make sure we’re giving our kids a good start with money? 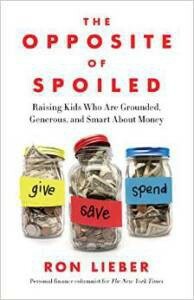 In this episode Ron Lieber, NY Times columnist and author of the newly released The Opposite of Spoiled, will share the latest research to help parents raise kids who generous and smart about money. 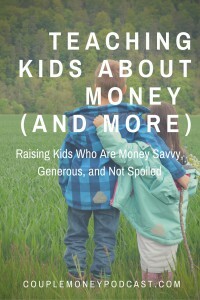 If you want to learn more, I highly recommend that you check out The Opposite of Spoiled as it does a thorough job of tackling some of the trickier situations of raising a financially savvy kid. I’d love to hear from you – what are some of your child’s biggest money questions? How have you talked to them about your values and money?